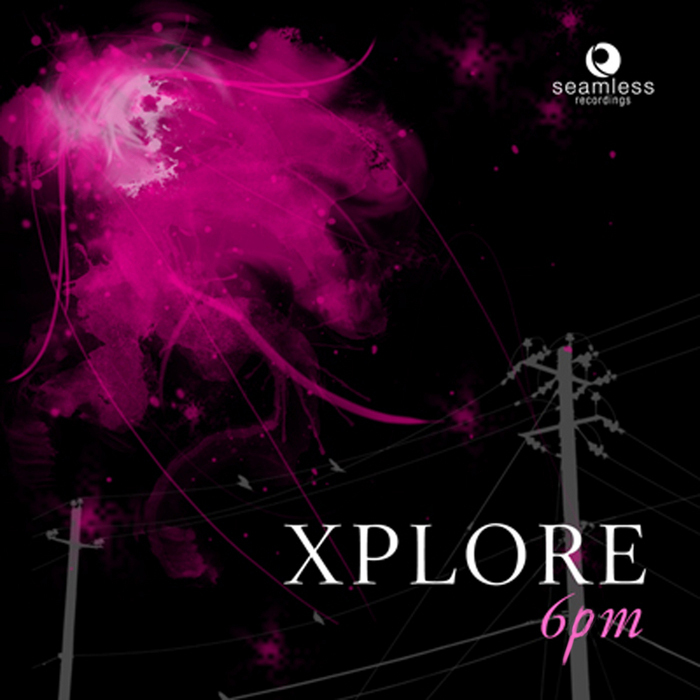 Xplore : News about his new tracks, albums, collaboration with labels, own studio and more. Hey! It's been 3 years since I haven't posted on my website, here. This doesn't mean I didn't do nothing. :) I was working on a lot of stuff and I also did music, releasing some EPs, getting out my own record label called Subspace Transmissions, that's now on Beatport as well. Starting next month, in may 2018, I will be starting focusing myself almost exclusively on making music, with additional other things like writing or even coding for my own projects, also, on the side. So expect some more news from now on. It's been a long while since I posted anything. 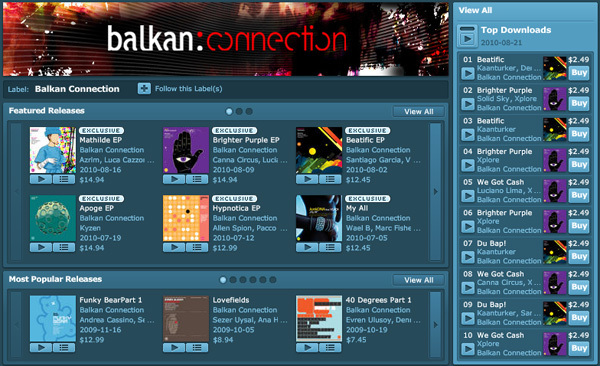 2014 summer - winter was a time of good releases on Balkan Connection. Started working from the beginning of the year on music again, and until may 2015 also managed to finish up an new album. It's gonna be out on Balkan Connection's main label, on 23 september 2015, on Beatport and other major audio online vendors. To make sure that you can get it easy. The album is a progressive house concept album, called Sector 1 which has also a story behind it, behind every track out of the total 8 on the album. It's about a sector in space called Sector 1, which is populated with 3 close solar-system, that are inhabitable. A lot of races live there and all the audio tracks in this album are related with things that happen in this sector of space. Theme is definitely in the sci-fi zone. Expect more than 1 albums to come after this one, at some point, called Sector 2, 3 etc. ..just thought to post some stuff here, because i've been idle on the news here for at least 2 years :) so. Thanks for visiting my page and for your interest in my music. What have I been up to the past year? Well, regular office job work + getting home and working some more on my personal webapp project which is getting close to 4 years in the making. It will be a great portal for the edm scene, to give you an insight to it, I will post links + some more data once I publish it (will be done - finnaly - around the end of this year, 2013). At some point in august, this year, I was cleaning up some old files from back 1-2 years ago and managed to organize and clean the folders of some music projects and...I came up in 1 day with a full-lenght downtempo album (10 tracks, on which I am working as we speak to finish in few months, and send them to Seamless Recordings, I hope they will like it so I can publish my 2nd downtempo album), 6 athmo drum'n'bass tracks, 5 progressive tracks, excellent for an EP with Balkan Connection and various other tracks including some underground hip-hop beats and few house tracks. Will work on all of these for the next 4-6 months to get them done and ready. So yes, past year worked mostly on my web project (no music) and now been taking up music again (seriously, again) and also finishing touches for my web project which is kinda done :) (too many bugs fixed of all sorts not to be ready). I haven't been posting stuff on my personal website for more than 1 year and 6 months. No worries, I've been active and working a lot, music-wise between feb 2012 till august 2012 I've been doing some remixes and 1 EP with Balkan Connection which got a lot of positive results. I'm gonna post the reviews I got on these soon. Also I'm caught in a project that I've been developing for about 3 years now which involves music mainly, a web portal for artists and labels, more like a tool that help them work together and also a great frontpage where other people can see what's going on in the dance scene. ps. 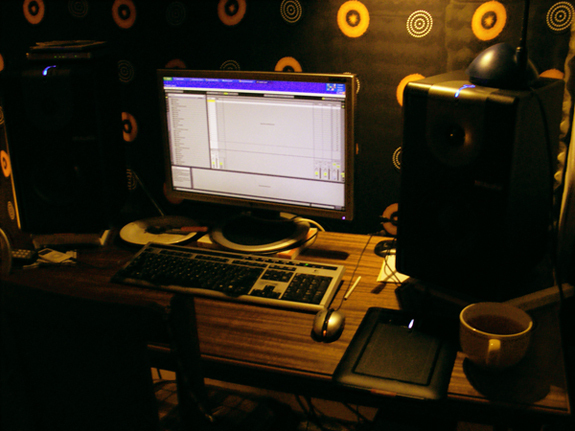 I also finally moved to Bucharest in my own place and I set up a little studio where I can produce my tracks. So yey! Finally, things are getting on the right track for me. No more "no-money-for-coffee-and-starving-producer-attitude" :)) THere, I've said it. Soon I'll start working on new EDM and downtempo tracks and probably start mixing in the weekends as well. For now, the next 2 months I will be busy with finalizing a web project i've been working on since october last year which will be hosted on www.electronicdancemusic.net. It will be a tool for the record labels and artists and great promotion for them as well. I'm not saying more since it's still underconstruction. I will keep you posted on that one. On the 6th of june, this year, I mark 5 years of international exposure meaning lots of tracks and remixes released with indie electronic dance music record labels around the globe. 5 years of official recognition + 6 years of accumulating knowledge and experimenting with tracks + 2 years of first studio contact + 2 years of beginnings and exploring Amiga - Atari style music + 4 years of music school. Now that's something :) And even now in 2011, in my 6 months break from music when I haven't completed any audio track, I still tried last evening working on a track on my newly acquired laptop with no-drum-samplings-what-so-ever on my hdd, and just few *included synths that Ableton comes with, using some 2 dollar in-ear Chinese-made headphones, in a room with my aunt watching soap-opera tv novels full throttle. The only quality things were Ableton-engine and my oldskool refurbished-and-upgraded IBM T60 ThinkPad and if you add to that, my producer techniques, you can imagine what track came up in the first 20 minutes. 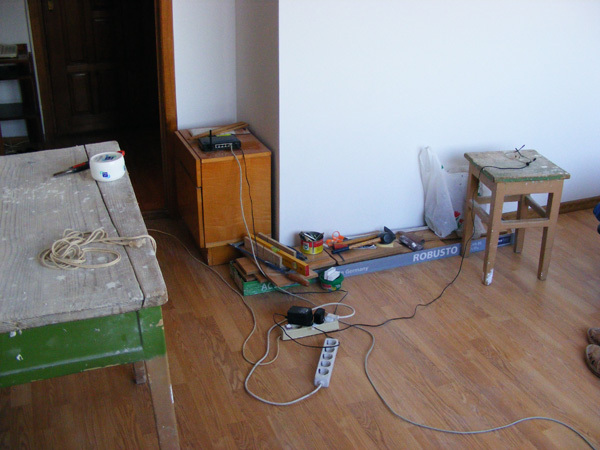 And because the setup was running while sitting on an unusual couch that is kinda harsh on sitting in the same spot for more than 20 minutes, I shutdown the whole track-making process dreaming for better days (...when i'll have my own house/room). Just a quick update on what I do these days...keep in touch, you, my greatest reader, and hopefully I'll have better news the next weeks so you can read and enjoy. Xpl. Update for the past 5 months. I've been totally off music, since I was running in circles with producing and not having a dollar sometimes to have a good cup of coffee as I like to say about these situations. You all know indie music producers are really hard with sales these days so I took a chance and got hired in a great city that I really love, Bucharest, which was about 100km from my home town, it is where I work now and live. I'm close to renting myself an apartment soon (1-2 weeks now) so I can finally set up my little studio in the heart of the big city where lots of music minded people are. I have 6 remixed songs over the period october - december (so 2 months). Will soon launch it, meaning, somewhere in between february and march 2011. I don't know if you already feel it, cause you might live in the balearic area, mediteranean or other tropical countries but here one thing you definitely feel when it's coming, after hot months of summer is the autumn. Is that cool feeling in the air, everybody getting back to school, more serious times and producers go back in their little studios and start working on stuff, as usual. As of today, also, on top10 downloads on Balkan Connection page on Beatport, my remix of Da Game Boy hit straight no.8, in it's excusive promotion period, which means people still like it, even if it's more expensive than usual. Enjoy these first days of autumn. 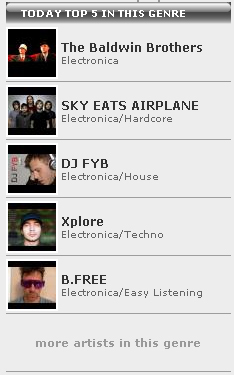 Beatport.com have chosen 6PM as Featured Release. Awesome! it has been roughly produced between the year of 2005 and 2008. In the beginning there were a lot of tracks which I was planning to release as a downtempo compilation edited in Romania as "Blue Velvet". 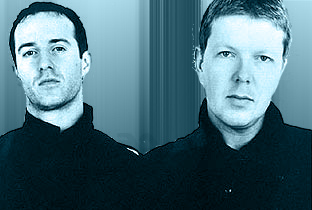 Eventually, plans changed and I wisely chose a UK editor and publisher (Seamless Recordings, based in London) and Blu Velvet became one of the tracks on the album. The name of the album, 6PM came to me when I thought of the whole bunch of the tracks, pretty easily, that late afternoon feeling when you feel a bit more relaxed cause day is almost done, you've no much stuff to do, but sun is relaxing and you've got few more hours to chill. 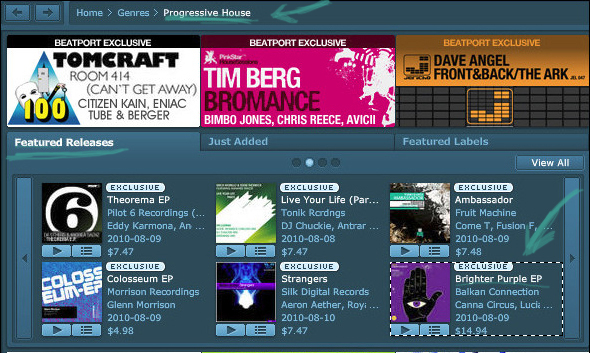 Brighter Purple EP got FEATURED Release on Beatport! ...on the 9th of august will be out, now it's on the promo period, check the reviews menu, i'll put the comments on there.....also the downtempo album with Seamless, will be out on major online shops (Amazon. 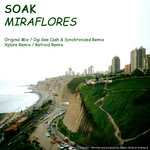 iTunes, Beatport) starting 16th of august. Can't wait..
Another remix done for my friend Aaron Philips ; track is called Waking up inside and it's a bit of prog, a bit of simple trance on the commercial side (but not bad), and a bit of vocal on it. Very nice, happy stuff. 6 remixes finished last month and i'm now polishing them off (not releasing them yet to the labels, I need to have them in full shape, even tho' they sound good). I'm setting up a local romanian community of electronic music producers and activists like deejays and people that are active in the scene who write articles and take interviews. Site is in romanian (native language) so all ye other folks who want to read on, just translate it with Google. Google Chrome browser has this option integrated so it will ask you to do so. Website is located at the moment at http://news.itraining.ro and it is underconstruction, upgrades are being made to the site and first articles are being written. I'll start finalizing the site when i'll have a place to host it. It's official, Matt agreed on releasing in may this year, 2 unsigned tracks from me, which will be out on Space Radio Frequency EP (on his label), in the month of june. cleanup and backup saves :) feels like spring, doesn't it ? Yes, spring hdd cleanup and cd backup. Wicked. I feel totally nice and organized now. Yes, a journey through different states of aliveness, in a big chunky old dusted and jazzy city, it all happens in the afternoon, when sun is down and light is orangey-red. Take on EP is out on Beatport.com! Talked to Matt about my 2 unsigned tracks and he's keen in listening them later on these days and probably sign up a new EP with him on these 2 which may or may not feature also few remixes. Finished soundproofing my studio room. Yey !! Handed out 2 tracks to Andrew and he said he has an opening in the future releases so this is probably going to be out even end of march or early april. Tracks called : Take On and Far away. Kenshi is a 1 year and more old track that me and Ange (Russian singer/DJ) did so we need to get it out until it gets too old. Kenny@PureSubstance will take care of that and probably early april it will see the green light of Beatport. Remix on Dolei - Santiago Garcia for Balkan Connection (Ogi) and also 1 EP coming out, that's spring news from me. The EP is called Brighter Purple and has 3 tracks : Brighter Purple (progressive mix), Brighter Purple (breaks mix) and We got cash (original mix) which is housey track. The album is coming out very good, i need to give titles to songs in total i have around 14 already, need to finish them up also. Already talked with Pure Substance about it, the album is probably going to be out somewhere next year. Started working on 2 remixes for Seamless Recordings. AmuseBoosh and Suntan Warriorz, i'm planning to do more than just 1 remix for each. Tracks sound very neat. I've started working and it looks good, it seems ideeas keep flowing every day. Yeyy! I'm finally done with 5 years university (1 had to redo cause of just one exam). So now i'm all set up, i will take a 3 month vacation to enjoy spring and beginning of summer, it's beautiful here in this period of the year. Cheers to me :) Forest all day and walking everywhere. 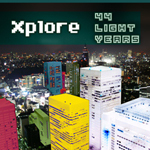 Xplore is back to work. Among few various projects including some website building, he's finished doing a Beginner Training Tutorials (7 lessons) for Reason 4.0, you can find them on iTraining.ro. Also he started working again on his tracks and looking forward to some deejay gigs soon. Today i finally upgraded my studio with 2 important items : the brand new computer and also a pair of Alesis M1Active 620 studio monitors. Computer is powered by a E8400 Core 2 Duo 3.0Ghz processor with 4GB of dual-chan Mushkin rams and other hi-quality components inside. 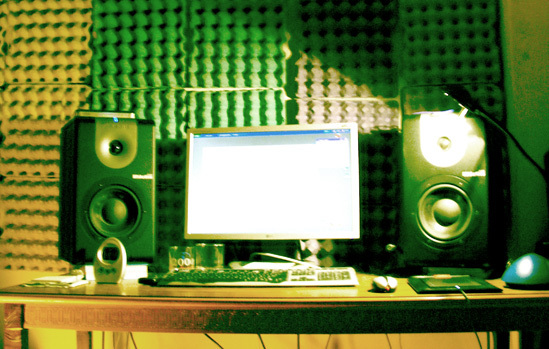 The speakers are excellent upgrade to the little studio i have here, here's a quick preview picture of it. Will be out soon on Jacco@Work's own record label (Lups Records) based in Netherlands. Erk remix for Vise Versa Music - out on Beatport! I signed my first downtempo album collection of lounge tracks produced over the last 3 years is to be released with Seamless /UK. Puro Beach has grown its reputation and it is something similar to Buddha Bar compilation and this is one of the series, alongside Bargrooves, that Seamless is getting out over the last years. 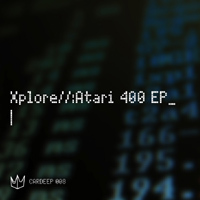 Atari 400 EP released on Beatport TODAY! My last work of art :P which is actually almost 1 year old is about to be released on Beatport. It is doing fine so far on promorelease.com (Canadian promo webportal), heading at no. 5 right now and will be soon out on Beatport to get into your case as well.. It consists of 5 tracks that are a blend of prog, minimal, tech and electronica with a pretty much original concept, purely simple tracks if you ask me. So yes, check it out soon. (i will be back producing soon in after the month of august). Did a remix for Retrobyte (Chris Norman) which is pretty much ok.
DCM - Dreams (2 remixes on that) available soon in the Audio section to download in full. Gudowski set me up with a remix deal for DCM's track called Dreams. I gave him 2 remixes which will be up soon on his Netlabel for you to download it for free. I will put it here in the Audio section as well in the free download section. YEY....because i'm back, i needed to fill in the gap...what i did was...january : prparing for my exams, february : taking the exams. March : got sick 2 weeks and now i'm back. To be sure that i don't take the exams twice, i decided to take a break from the music scene, even tho' i was totally doing stuff there. So i took a break 2 months, took my exams and now i'm back. Best thing that happened in the 3 months that i didn't write anything is the offer from Kenny (Pure Substance owner) to join his Pure.FM monthly 2 hr show as a host (which is happening actually now as well, along with german Tobias Hoppe). I was and am very happy to be part of / represent the Pure Substance team and i really hope i will bring the good vibes around along with my partner / host Tobias. All the best to you all, happy spring and bring the happy vibes. Peace out. show hosted on DI.FM 2 of my latest remixes (Gudowski and Python). 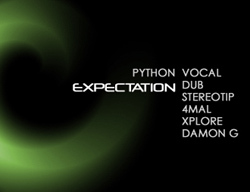 Python- Expectation EP is out ( @ Pure Substance Records ). I got 8 notices in the reviews, check them out at reviews section. The early reviews for remixes on Gudowski's Late Night Trip EP came in. Check them out at the Reviews section. Carica DEEP will release my next EP (Atari 400) which will have around 5 tracks (NY6pm, Atari 400, Orange drop, One is two, Rise up). ALL tracks are experimental for me. I know you're used to listen prog tunes or sometimes breaks but this time, on the influence of a lot of minimal going on around me, i was experimenting and so i got up these 5 tracks which will be released somewhere around 22 january in 2008. Umm and it's full USB (so no MIDI cables). Finished the remix for Warner Brothers (aye, that's pretty big!) and looking forward to their response. The finished result is a drum'n'bass remix both 3:40 radio edit + 8 min extended. I really love this one and hope i could put a sample up for you here but i haven't heard from them yet so i don't know yet if it's gonna be published at all..anyways, i'm glad i did this one remix, to me it sounds excellent. (original track is a underground dark hip-hop track with cool vocals). The remix on the original track "Friends" from russian Arthur Deep is done. I'll post the artwork on that one as soon as it's ready. The remix is out on Beatport in 12 days (5 november). 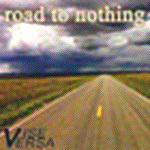 "Road to nothing" of Namatjira (who is dutch producer by the way) is composed of 3 tracks : original mix and 2 remixes, Hernan Gutmer and me. The original track is very well worked and samples very well chosen...i did a version with more electronic like sounds but still keeping most of the analogue-like original sounds. 8 days after the set was uploaded on House Pacifique radio website we already got 35,847 downloads. Also great feedback from the guys at House Pacifique. Respect. 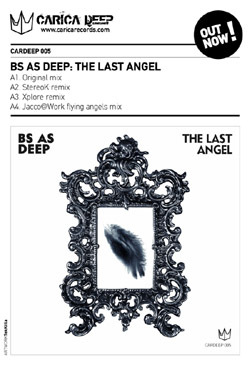 Artwork is done for the 5th EP on Carica Deep (StereoK) featuring remixes on Bs As Deep's : The last angel. Featuring 1 original track and 3 remixes, one from me. Style of my remix is pretty much weird : not progressive house or even progressive trance or a sort of mix between electronica and one of those. It's some sort of funky minimal grooves, (but not necesarily minimal like style). Remix is done, waiting a few more days to do some more things to it but yes, the main thing is done and I must tell I enjoyed working on this one a bunch lot more than on usual remixes I get, probably because the whole sound is coming from UK alternative scene. I totally love this one song. 1 remix for Python's Expectation track and 2 more remixes for Gudowski's Latenighttrip are done. Release is scheduled somewhere in december this year or spring next year. DJ Kira plays all Time Travel EP tracks in his 1hr show "The genre show"
Dj Kira plays Aquatic People, Near the energy core and Time travel in his 1hr set called "The genre show" on aug 24 on Frisky Radio. 2 weeks after the release, Time travel track is at #41 in Beatport's progressive house top 100. The concept behind this EP is based on the Enterprise tv series which I closely watched for about 2 months. All track titles are inspired from movie concepts. I hope you'll enjoy this one release. Peace out. I already have 10 tracks (and still counting) that are ready to be remastered, voice-overed and all that to set up my first lounge compilation. The tracks are done during this year and half of last year and will hopefully be out soon. I'll keep you posted. 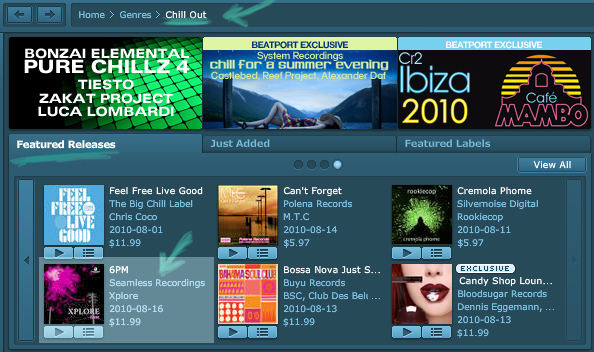 You can find it on Beatport + other major music vendors. One of the remixes is done by me. 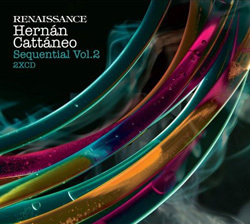 2 X CD compilation, Sequential which is to be released 30th of april on Renaissance / UK. Full EP + remixes are going to be released on Pure Substance Records somewhere this summer. 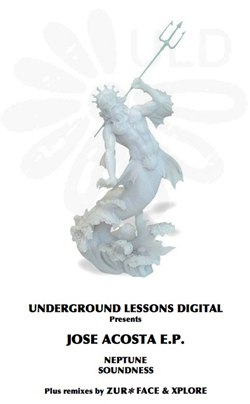 Just finished working on a new remix for Andrew K's label, Underground Lessons Digital on Soak - Miraflores. Soon to be out on Beatport. Markus plays my new remixed track from Jose Acosta, Soundness, in his weekly set, Global Deejay Broadcast. Yeyy!! 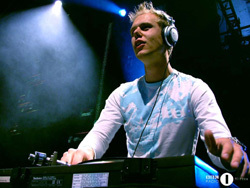 Armin Van Buuren supports new remixed track, Jose Acosta - Soundness (Xplore rmx). 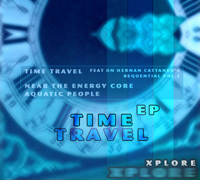 Finished up the 3 tracks of Time Travel EP. The EP is going to be released during next year (2007) with Pure Substance Digital. 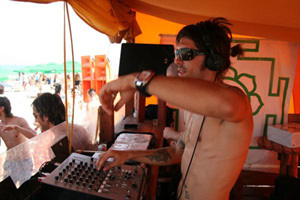 Finished remixing for Jose Acosta's track Neptune, release scheduled on the 8th of january 2007 with Underground Lessons Digital of Greece. 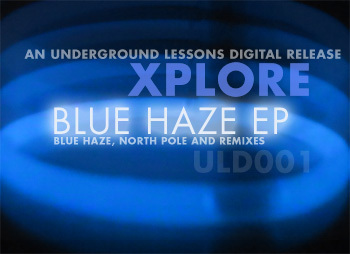 I teamed up with Underground Lessons / Greece, Andrew K's progressive label to release Blue Haze EP which contains 2 original tracks and 3 remixes; genre : progressive house. The EP is gonna be released on the 20th of november and out on Beatport, Juno and Resonant Vibes. Xplore gears up with Fiberline Records for more remixes and future coming album. 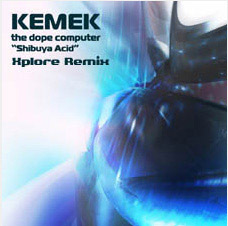 Signed up with Fiberline Records for the Kemek - Shibuya remix. The remix genre is progressive breaks, with a minimal vinylistic touch (see audio section for a quick preview). The track is available on the Fiberline Records online shop. a 5 track EP consisting of mainly progressive beats and one breaks track. Tracks are available to listen in the audio section. 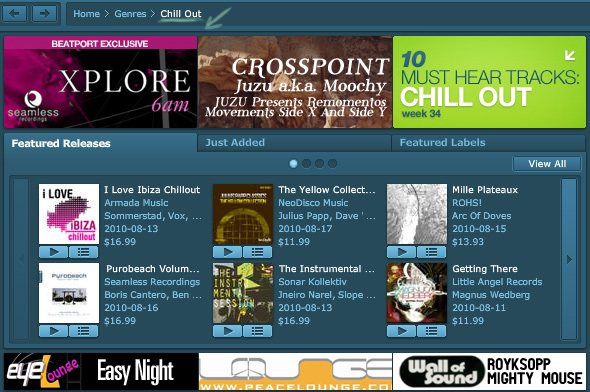 You can get them at Beatport.